An all-female group of senior leaders, engineers, geoscientists and offshore supervisors and technicians recently joined together in a visit to the Mariner field to mark International Women’s Day. 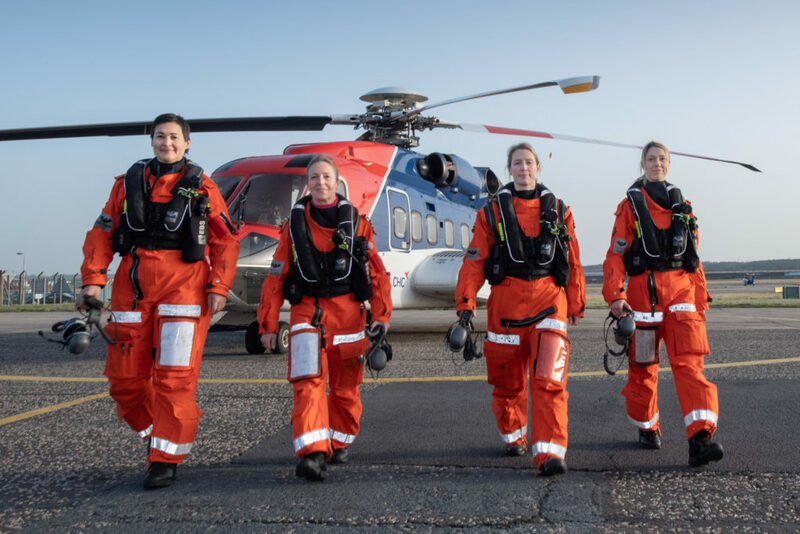 Representatives from Equinor, Aker, Oil and Gas U.K. were flown offshore by an all-female CHC crew to highlight the opportunities that exist for women in oil and gas roles and the need for more balance in the gender diversity of the industry. Once on board Equinor’s platform, the group met with representatives from the offshore team to share their personal experience of working in the industry and the challenges and opportunities around diversity. A film of the offshore visit marking International Women’s Day is available here.